First up, Diamond Selects has Ant-Man, Iron Man MK85, and a deluxe Hulk will start things off with the nine-inch-scale Marvel Movie Gallery Avengers: Endgame PVC Diorama line. Ant-Man and Iron Man have a suggested retail price of $49.99 where the oversized Hulk will run around $69.99. 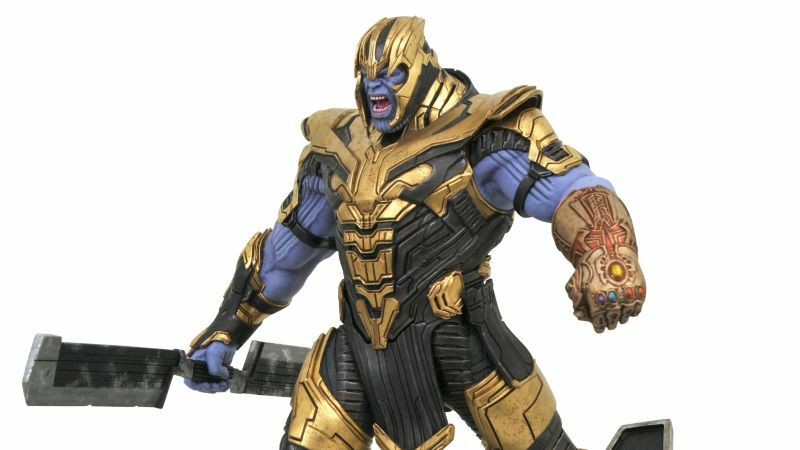 RELATED: Official Avengers: Endgame Toy Lines Revealed by Hasbro! For those looking for a cheaper, smaller option, there’s Diamond Selects’ two-inch-tall MiniMate line. This $24.99 collection includes Tony Stark, Black Widow, Hulk, and War Machine in their new team suits. It also comes with swap-out heads of Ant-Man, Scott Lang, Clint Barton, and Nebula to make the most of the new Endgame costumes — and your shelf space. Finally, the official LEGO sets for the film have been revealed including an over-sized War Machine set and an attack on the Avengers compound by Thanos himself.